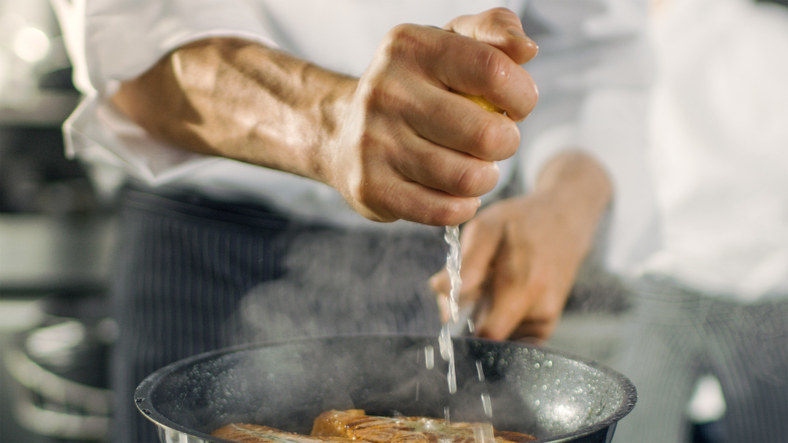 Don't let these tiny mistakes ruin your cooking. Everyone has cooking habits they've picked up along the way — some are great, and others are definitely not. Here are 14 of the most common tell-tale ones that you should actually remove from your kitchen routine. 1. You cram too much food into one pan. Overcrowding a pan is a guaranteed way to prevent your food from browning. Instead of searing, your food will start steaming — and often end up paler than it should be. Although it takes more time, cooking items in batches (especially proteins) leads to a darker sear and better flavor. Learn more about overcrowding your pan. 2. You use a nonstick pan to cook everything. Nonstick pans are great for some things (such as eggs), but not for everything. They can't be heated super hot, and the distribution of heat isn't always even. For items that benefit from a hard sear (like steaks), stick to cast-iron pans. Learn more about nonstick pans. 3. You stir, flip, and poke at your food too much. Stirring your food as it cooks is tempting, but it can prevent it from getting any color. If you're sautéing veggies or proteins, it's important to let them sit undisturbed for a bit, in order to develop a nice crust. So resist the urge to stir and let your food be! Learn more about getting a good sear on your food. 4. You don't wait long enough for your pans to heat up. There are times when starting food in a cold pan is beneficial — but it's pretty rare. For most items, adding them into an already-hot pan helps them cook faster, get better color, and prevent them from sticking. For most items (like veggies) heating up a pan for two minutes is perfect, but for items such as steaks, heating up a quality cast-iron pan for up to 10 minutes can produce a beautiful sear. Learn more about heating up your pans. 5. You use pantry staples that are actually expired. Spices, dried herbs, and leaveners don't last forever. Spices lose their flavor and leaveners lose their effectiveness. If it's been a while since you cleaned out your pantry, make sure to go through your rarely used dry items and check their expiration date. They may look fine at a glance, but if they're too old, they can negatively affect your final dish. Learn more about your pantry's expiration dates. 6. You cook everything in olive oil. For a lot of people, extra virgin olive oil is the go-to oil for everything — but it's not always ideal. Extra virgin olive oil has a somewhat low smoke point, which means it can burn and start smoking if heated too high (which is not only dangerous, but can make your food taste bad). If you're cooking something at a high temperature — like a stir-fry — canola oil is a much safer bet. Learn more about smoking points. 7. You rinse your chicken before cooking it. Believe it or not, experts agree that you should not wash your chicken — including the USDA. According to USDA spokesperson Marianna H. Gravely: Washing it may spread bacteria in the poultry juices, and "some of the bacteria are so tightly attached that you could not remove them no matter how many times you washed it." Learn more about what the experts have to say about washing chicken. 8. You use metal utensils on nonstick pans. Metal utensils can scratch and damage the delicate nonstick coating of a pan. Rubber or wood utensils are safer bets and can prevent damage. Abrasive cleaning tools (such as steel wool) can also cause damage to the pans, so make sure to treat them with care. Learn all the ways you might be ruining your nonstick pan. Resting meat after cooking allows the juices to redistribute so you don't lose a ton of moisture when cutting into it. A good rule of thumb is to let your steak rest for five minutes before cutting into it. This will give it enough time to rest and remain moist. Another tip is to always cut your meat against the grain. This produces tender slices — while cutting it with the grain can make your steak tougher. Learn more about cooking the perfect steak. 10. You pour used oil and bacon fat down the drain. Any sort of fat (grease, drippings, oil) should be disposed of in a garbage or oil recycling unit. When poured down the sink, oil solidifies and can cause major clogs that damage pipes. Learn more about properly disposing of grease and oil. 11. You open and close your oven too much. Sure, opening the oven door while baking is tempting, but it can actually ruin certain baked goods. Some delicate sponge cakes, for example, are more prone to collapsing — so if you open the door, the sudden drop in temperature could cause your baked goods to sink. If you really need to take a look, just pop on the light and peak through the window. Learn about other baking mistakes you might be making. 12. You don't take care of your knives. Good knives are expensive, and taking care of them is an important way to make sure they last forever. Before using them, make sure you hone them. Honing is just the act of running your blade against a honing steel (the large metal rod that comes with most knife sets) at a 20° angle to realign it and keep it in prime condition. Sharpening actually grinds down the edge and is only needed when your knife becomes dull (and is sometimes best left to the professionals). Learn all about taking care of your knives. 13. You use dry and wet measuring cups interchangeably. Wet and dry measuring cups aren't interchangeable, and although the difference between them might be small, it can make a big difference in baking. Dry cups are designed to be filled to the very top, and if you try to measure liquid in them they will spill out. Liquid measuring cups should be used for things like oil, water, and anything else that's a liquid — and dry ones should be used for everything else (like flour and grains). Learn more about properly measuring ingredients. 14. You season your food with salt, but not acid. Most people know that salt helps flavors shine and food taste better — but not everyone knows the importance of acid. Acid helps brighten flavors — and just like salt, it's an important step to balancing a dish. If your food tastes flat even after you season it with salt, try adding a splash of vinegar, wine, or citrus juice. 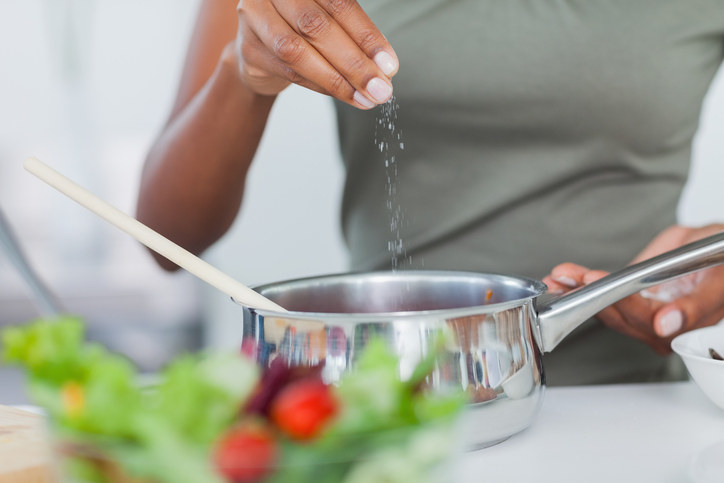 Learn more about seasoning food.